Dire Straits were a British rock band who emerged during the post-punk era of the late 1970s, active between 1977 and 1995. Comprising Mark Knopfler (lead vocals and lead guitar), his younger brother David Knopfler (rhythm guitar and backing vocals), John Illsley (bass guitar and backing vocals), and Pick Withers (drums and percussion), and managed by Ed Bicknell, Dire Straits played a more bluesy style, and while their sound was minimalistic and stripped down, they owed little to punk rock which was at the forefront at the time. If anything, the band was a direct outgrowth of the roots revivalism of pub rock, but where pub rock celebrated good times, Dire Straits were melancholy. Despite their oddly self-effacing approach to rock and roll, Dire Straits became one of the world's most commercially successful artists, and sold over 120 million albums worldwide. Dire Straits built their sound upon the laid-back blues-rock of J.J. Cale, but they also had jazz and country inflections, occasionally dipping into the epic song structures of progressive rock. The band's music was offset by Knopfler's lyrics, which approximated the winding, stream-of-conscious narratives of Bob Dylan. As their career progressed, Dire Straits became more refined and their new maturity happened to coincide with the rise of MTV and the compact disc. These two musical revolutions from the mid '80s helped make Dire Straits' best selling album Brothers in Arms an international blockbuster which has sold more than 30 million copies worldwide, and is the fourth best selling album in UK Chart history. 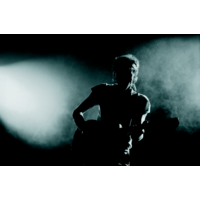 Along with Eric Clapton, Phil Collins, and Steve Winwood, Dire Straits became one of the leaders of a group of self-consciously mature veteran rock & rollers in the late '80s that designed their music to appeal to ageing baby boomers. Throughout their history, Mark Knopfler was the songwriter and driving force behind the group. Dire Straits won numerous music awards during their career, including three BRIT Awards, four Grammys, and two MTV Video Music Awards. Dire Straits' most popular songs include: "Sultans of Swing", "Romeo and Juliet", "Tunnel of Love", "Private Investigations", "Money for Nothing", "Walk of Life", "So Far Away" and "Brothers in Arms".